Tefuye Trail, located on the Route 18 just a few kilometers past the Alishan Park entrance, is the old railroad logging trail which suitable for all the family. Why Tefuye Trail is special ? The Tefuye trail is quite unique. The full name of Tefuye Historical Trail is Tefuye Zihjhong Mountain Climbing Trail, also known as Shueishan Historical Trial. In the earily period of the Japanese Ruled, this trail was the route used by two well-known Japanese anthropologists, Torii Ryuzo and Mori Ushinosuke, to clib the West Peak of Jade Mountain. 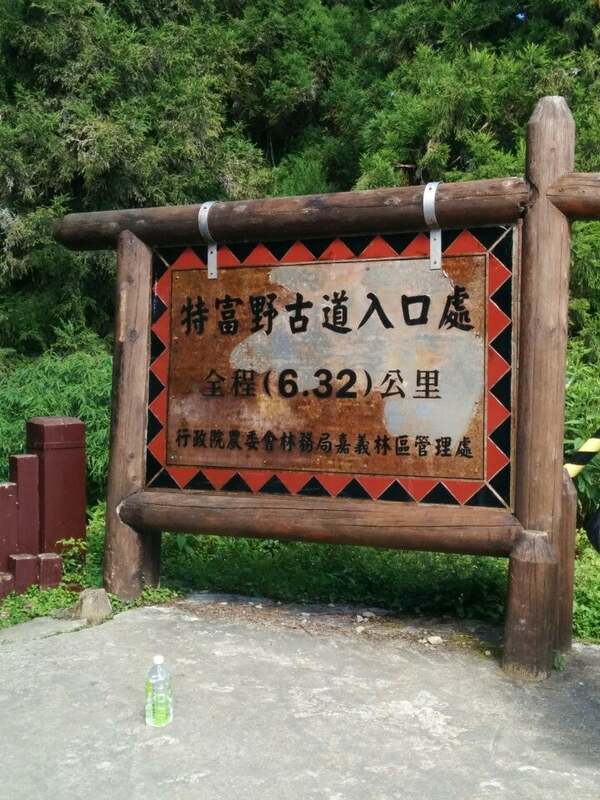 Because of this before the operation of Alishan Railway in 1912, Shueishan Historical Trail became the major route taken by mountain climbers in route to challenge the highest mountain in Taiwan. In 1941, the Japanese government developed Shueishan Historical Trail, in the area of Zihjhong, as Zihjhong Branch Line of Shueishan Line of Alishan Railway. The 5.2km long Shueishan Line railway was used to transport cypress lumber down the mountain. What to explore at Tefuye Trail? How to get to Tefuye Trail? Drive along Chiayi County Road 169 towards Dabang and Tefuye and, after passing under Tefuye’s village arch, take a right turn and the trail will come into view. You should bring food and water as there's no food stall on the trail. There are some makeshift tables and chairs at the 3.7 km stop where you can have lunch and make some tea. From the second half of the trail which veers off from the rail line, and down into the valley, it's pretty steep so be careful. At the trail entrance, there is a "bear warning" sign, so be careful if you're alone on this trail. Along the way are lots of high tree, visit in summer is really very comfortable. From the entrance to the 3.7 km stop is not too steep or difficult journey, it is suitable for family trekking.